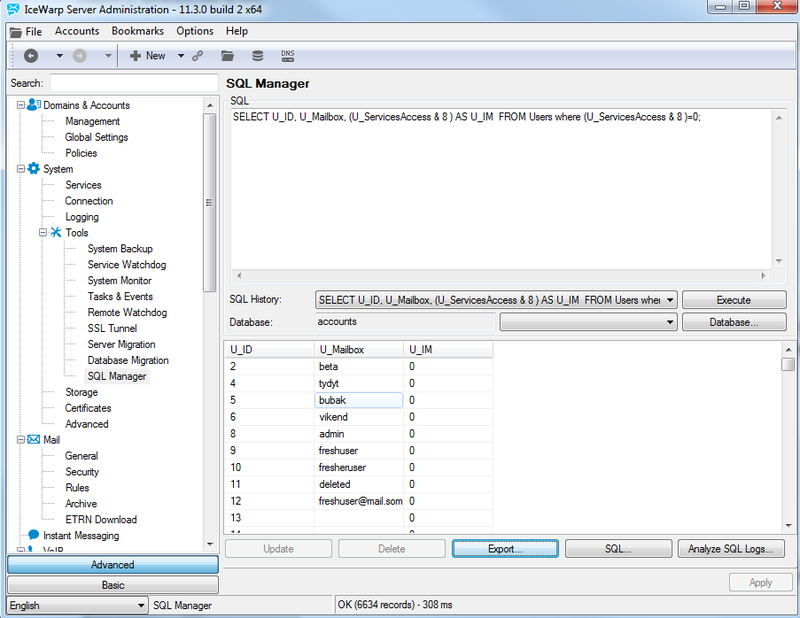 To filter which users has activated or deactivated services in IceWarp Server Administration Console under Domains & Acounts- users - policies tab you can follow bellow suggested example of sql query in IceWarp integrated SQL Manager or tool command. -this query will list all users with enabled Instant Messaging service in their settings, you can export the list as csv file. How can I find out the size of users, when quotas are enabled or not?